You feared you were going to be bored when the World Cup ended, but that’s not the case! Nike is ready to launch a whole new boot silo. Awaken the Phantom and control the game on a whole new level. Today doesn’t only mark a start of a new boot silo, but also an end of an era. 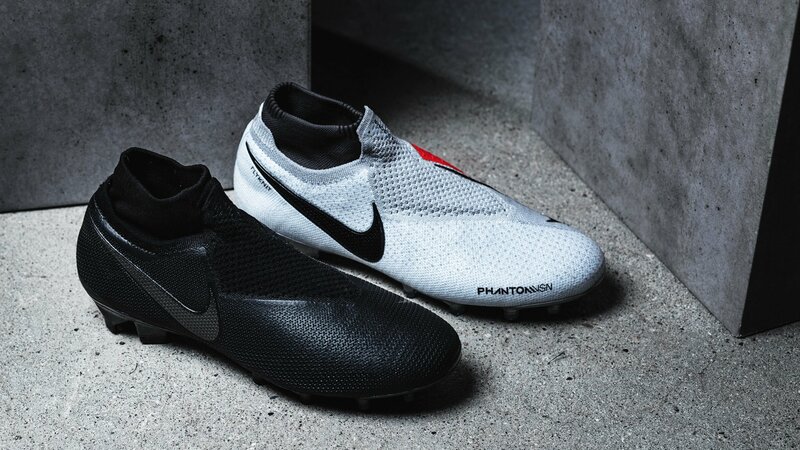 The new Nike PhantomVSN will replace the Magista boots. 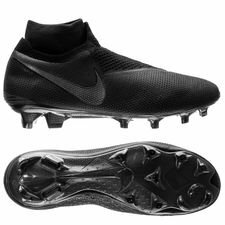 Therefore, the new Nike PhantomVSN boot will be focusing on giving you the best possible condition for controlling the game, at the highest possible level. The PhantomVSN boot is all about vision, instinct and precision, which are the key attributes of a Phantom player. To be a Phantom, such as De Bruyne and Coutinho, a player needs illusory power to lure people into a state of confusion, allowing the Phantom to control the game and the mind. Nike has made a new type of fit called Quadfit. This makes sure that you don’t lose important steps, by sliding around in your football boots. The Quadfit technology is a seamless mesh material that hugs your foot, but without the feeling of being constricting by it. This will offer you an unmatched fit, and a match-ready right out of the box feeling. You can’t really see the Quadfit from the outside, but you can feel the instant impact on the inside. Moving on to the upper of the Nike PhantomVSN, a new technology has also been created to offer the Phantoms of the game the best possible touch for precision. Nike has made a so-called Ghost lace system that works like a lace cover. We have previously seen these covers, and the Ghost lace will offer you a concealed lockdown and a clean contact with the ball. The Ghost lace allows you to have this ultra clean touch, while also giving you the possibility of lacing and tightening the boots as you please. You will still be able to tighten the boots thanks to the one-pull construction, which gives an equal tension all the way down the foot. The PhantomVSN is also made with a textured Flyknit upper, that gives you all the advantages you need when receiving, passing or shooting the ball, making you visions come true trough the pass that sets up your teammates. A red tringle has been placed on the inside of the boot, which covers the surface between the 3 prominent bones: the calcaneus, talus and first metatarsal head. That might not make that much sense, but in “normal” language it means that the area marked with red is the most optimal area to control the ball. Another thing that has been changed from the Nike Magista is the soleplate. The PhantomVSN comes with a Hyperprecision sole, which allows you to make hard cuts and burst of speed, leaving your opponents in confusion. Nike has called it for the FEA-informed traction pattern and accommodating the quick multi-directional cuts. Nike are also giving us a treat. The PhantomVSN is going to be released in two different colourways. One is made in a blackout and will be a part of the Stealth Ops Pack, which is made for the preseason. While the second colourway is a red a grey design and will take part of the raised on concrete pack. Awaken the Phantom with the Stealth Ops Pack from tomorrow, or the Raised on Concrete pack from the 30th of July.